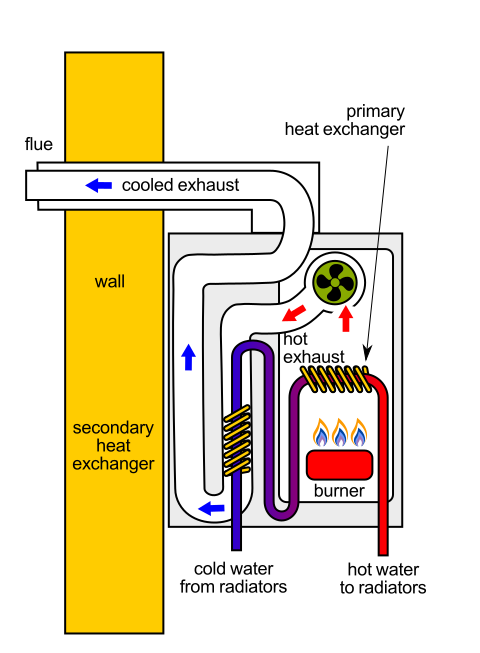 Everything you wanted to know about gas boilers. This consumer guide is designed to answer all questions surrounding the big decision of replacing a boiler. Let’s start by getting the technical lingo out of the way. 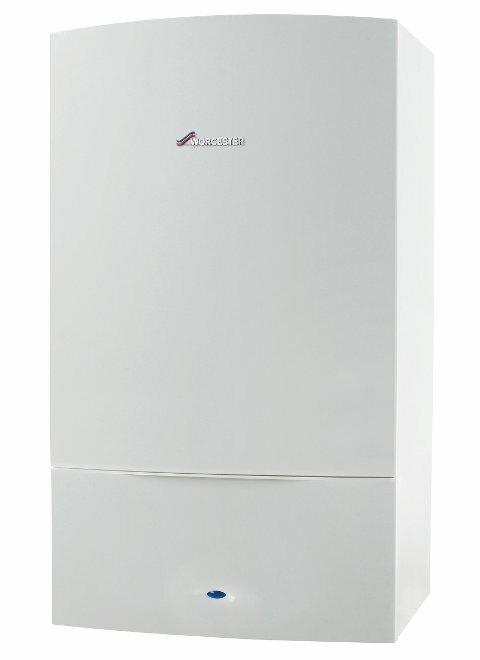 Click on the tabs below to find more information about each boiler type. A combi boiler which is short for combination boiler, is considered the most efficient heating system. Today it is also the most popular system among the new boiler installations. 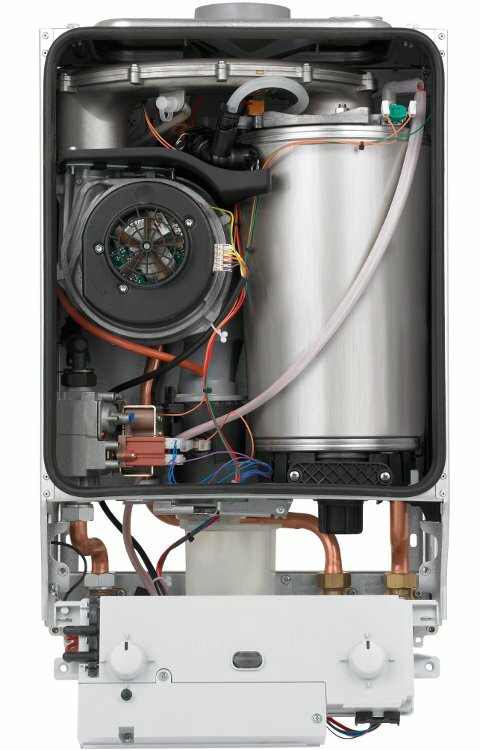 It’s a compact system that provides both hot water and central heating directly through the boiler itself removing the need for bulky tanks and cylinders. This boiler doesn’t store hot water, so it is considered very efficient as it produces hot water on demand. It’s got a fully-sealed system with a circulation pump built in, which is great news for those who look to save up space by getting rid of the old-school tanks and cylinders. Unfortunately, nothing is perfect and combi boiler comes with its limitations too. It won’t be able to produce a steady flow through multiple taps and also having a bath and heating the home at the same time may be a bit of struggle. If you open a hot water tap while the heating is on, priority will be given to hot water. Good news is that there is a wide range of outputs available depending on the size of your property and your predicted hot water demand. If you choose the right power output, you shouldn’t have any problems. Depending on professional jargon used by a plumber, these will be known under a wide array of names, all of which are used to describe the same piece of equipment. Often called regular boilers, open vent or heat only – referring to the fact that they feed the central heating system while hot water is provided through a cylinder that stores heated water. If you have an unsightly expansion tank in your attic and a large water cylinder covered in green foam insulation, you’ve got a conventional boiler. Although often associated with outdated technology, there’s nothing wrong with this heating system as long as the boiler itself has a high efficiency rating. The main advantage of the conventional system is that hot water is accessible from multiple taps at the same time. If you’ve used a combi boiler, you know that when you open a tap in the bathroom, there will be no hot water in the kitchen. It might turn out to be a nightmare for large families where fighting for the right to use hot water can put unnecessary stress on the morning routine. That’s where the conventional boilers step in. They heat up the hot water cylinder that is fed by the water tank sitting in the attic. The tank also has a way of topping up the system to make up for the water that is lost due to evaporation and what’s more important – it keeps the system safe by allowing water to expand in case the system heats up too much. An additional benefit of this configuration is that you can easily upgrade your system to multiple heat sources by replacing the cylinder to include an additional coil. You can read more about this scrolling down to our thermal solar water heating system section. Or simply a system boiler is an advanced version of a conventional boiler. It works in a similar fashion by supplying the heating system directly and storing hot water in a cylinder, however, as it doesn’t require a water tank to provide pressure. It is great for homes that require instant access to hot water from multiple taps. It’s main benefit is that it frees up the space in your attic. The expansion vessel and other bits are already integrated into the system boiler – it is a more advanced appliance. Another upside is that this type can be used with a domestic thermal solar water heating system. Scroll down for the environmental section to find out how much you can earn by joining the RHI scheme. Nevertheless, this type of equipment also comes with its downsides, so if you can’t see yourself installing solar heat collectors on your roof, and having hot water out of multiple taps isn’t a priority, you might be better off choosing another type of new boiler. Another downside is that both conventional and system options are limited by the volume of the cylinder. If you have a large family who want to use the bath frequently, you may find that the appliance doesn’t quite keep up with the demand. Once a cylinder is emptied, you will have to wait for the next portion of water to be heated up. Also, producing hot water on an assumption that it is going to be needed at some point soon is not a very green thing to do. Water will need to be stored in the cylinder and no mater how well insulated it is, there will be some heat loss. If this is a concern, you might need to choose a combi boiler instead. Compatible with thermal solar water heating systems etc. Although technically a condensing boiler can’t be considered a separate type of boiler, we feel it’s worth a mention because it sometimes creates unnecessary confusion. Besides, some properties still have non-condensing boilers in operation making their owners pay an extortionate amount of money on energy bills. A condensing boiler will generate more hot water from the same amount of gas making it a no-brainer. In fact, it is illegal in the UK to install a domestic non-condensing boiler. The only reason why we keep mentioning this variety is that older-style properties are likely to still have 20+ years old heating equipment installed, especially when it comes to some rental properties. Especially, as some landlords do strangely prefer to keep paying high maintenance costs instead of upgrading the heating system. Condensing boilers come with a more sophisticated heat exchanger that is capable of converting latent heat from exhaust gases. Older type heating systems simply eject the gases without any additional treatment. These gases have accumulated valuable heat that can be converted back into usable heat by condensing hot water vapour back into its liquid state and feeding it back into the system. This method allows you to reduce your carbon footprint, save a considerable amount of money on fuel bills and even do your bit to reduce global warming by reducing the amount of excess heat released into the environment. Dorset Business Awards winner of 2016 and National Energy Efficiency Awards 2017 finalist. You may have noticed that gas boiler specifications include an output measured in kilo Watts (kW). It’s a number ranging from 24 to 42 and is used to denote the rate at which power is being used. The more demand there is for heating and hot water, the higher the output range you will be looking at. If you choose a system boiler, you will need a lower output model for the same size of property and same number of radiators because hot water will be stored in the cylinder. To work out the cost of your new boiler replacement, you need to look at various factors such as the size of your property, the number of radiators and showers, number of people occupying it, and other factors. A smaller flat with fewer than 8 radiators and one bathroom can do with a lower denomination 24kW to 28kW gas boiler. Click here to check specifications. Calculate what boiler you need for your house here. A regular 3-bad home with two showers and more than 10 radiators will need around 32 – 34kW boiler, while a large detached house with more than 15 radiators and 3 bathrooms will have to look at the top range of 42kW. Small enough to be housed inside a regular kitchen cupboard. To give you a representative example, we pulled a small table together. The new boiler cost given is only meant as a rough guide and prices will change dependant upon many different factors. These are just price examples. Budget prices start at around £1500 (including boiler installation) and more advanced models can cost upwards from £4,000. Going for a budget option is not always the best thing to do. Such boilers tend to have a shorter warranty period and are not generally made to the same high standard than some of the more popular manufacturers. This is where boiler finance comes in handy. People are completely comfortable buying cars, houses and TVs on finance yet getting a boiler on deferred payments is not as widespread and some people still feel rather apprehensive about it. Nevertheless, it’s a great way of sorting out your home heating situation. Here’s a rough example of what a finance offer may look like. A new boiler with A-rating is a relatively green way to heat your home. New boilers have to adhere to strict energy efficiency guidelines. Energy efficiency is measured by dividing the input energy (fuel consumed) by the output energy (heat produced) converted into percentage. This is then graded into a scale of 7 grades ranging from A to G. With A being the most efficient and G being the least efficient. 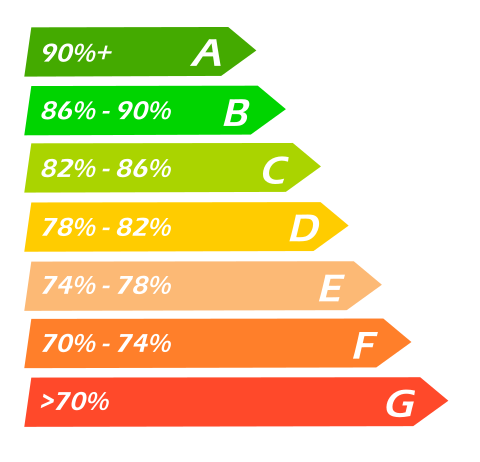 This grading used to be based on a European system but was replaced in 2005 with a specific “Seasonal Efficiency of Domestic Boilers in the UK” (SEDBUK) rating system developed based on cumulative data from both laboratory tests and real-life trials in properties over a 3-year span. As of 2010 all domestic boiler installations should be at least 88% efficient, which means that only A-rated boilers and B-rated boilers can be installed in private properties. The energy efficiency can vary a lot even within the same manufacturer. For example, an older Worcester 26 Cdi Xtra has 85.7% efficiency while a new top of the range Worcester Greenstar Highflow 550 Cdi can achieve a 90.8% efficiency. No matter how efficient the technology, burning gas to produce heat is not great for the environment because gas is a fossil fuel. Although installing a gas boiler can’t be considered an environmentally conscious thing to do in its own right, you can take a step towards renewable options by “plugging” your gas-guzzling boiler into a greener solar water heating system. This is only possible on heating systems run by a conventional boiler or a system boiler because you need a cylinder to pull this off. If your current cylinder has just one coil, you can replace it with a two-coil cylinder and use solar panels to heat the additional coil. The solar panels we have in mind are slightly different from photovoltaic panels that are used to generate electricity. Solar heat collectors are used to heat water with ambient energy derived from the sun. The heated water ends up in the twin-coil cylinder that is also connected to a conventional boiler so that we can top up the heat on cloudy days. During the summer when the sun’s out most of the days, you can probably get up to 80% of your hot water needs covered free of charge! During winter, we’re looking at just 10 – 20%. It may not sound like a lot but at the end of the day, it’s 20% off your energy bills, so you can’t really complain. Looking at its off-the-shelf price, thermal solar water collectors are expensive and their buy-back time is rather lengthy so if you want to benefit from this environmentally-friendly technology, you need to act quickly. Although the famous “Green Deal” is pretty much history, there is the Domestic Renewable Heat Incentive (RHI) that you can still benefit from. That is if your thermal installation qualifies. The idea is simple, you get to top up your heating system with free ambient heat, plus the government pays you for each kWh you generate. At the time of writing, the tariff is 20.06 pence per kWh generated. You can keep up to date with the tariffs and make sure your installation qualifies by checking this site. The current tariff is valid for installations made until July 1st 2017. These payments are likely to go down as they were intended to boost adoption of new green technologies. Although new boilers are efficient and cheap to run, there is a way to save even more money on energy bills by embracing new technology. Early adopters of the concept of Internet of Things (IoT) and Smart Home. It is early days and apart from a few interesting smart wearables, virtual reality gadgets and smart home devices, there doesn’t seem to be that much to choose from. However, hooking up your new boiler installation with a smart thermostat might be your first step towards a smart home. The way the technology is developing right now, it seems that a typical smart home will be controlled through a smart home assistant or a home hub. There are two major products on the market like now – Amazon Echo and Google Home. Currently, a typical home hub allows you to stream music, get answers to basic questions, like “what’s the weather” and control a limited number of IoT devices around the home. It does sound basic, however, the technology is advancing quickly. As far as the smart thermostats are concerned – Nest is usually the main go-to choice, at least for the UK. The Nest thermostat will replace your old-school manual thermostat and allow you to control the heating in a smart way to optimise the internal environment and save money on energy bills at the same time. Although Nest is owned by Google and obviously will be compatible with the Google Home hub, it has also recently opened up to include support for Amazon Echo, which is by far the most popular choice in the UK. A Nest thermostat costs from £160 up but you may be able to get a deal with some boiler installation packages. There are also other smart thermostat models available such as Tado featuring smart radiator thermostats, Ecobee4 which costs extortionately high in the UK and is not covered by manufacturer’s warranty, and a “home-brew” system called Hive which is on the rise thanks to its recent decision to open it up for external systems allowing people to integrate it into their smart home installations. Overall, a smart thermostat paired up with an efficient gas boiler is a great way to save money and trial out the new and exciting IoT technology. Get a free no-obligation quote. Choose a time and date that suits you, including evenings and weekends. They will carry out a detailed assessment of your home and talk you through your boiler and heating options. They will give you a fixed price quote and explain your payment options. 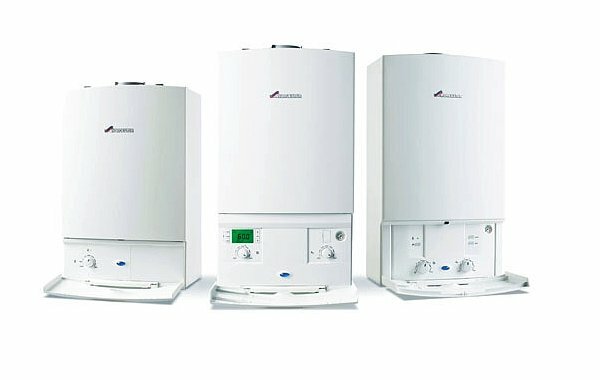 All boiler installations carry a 3 year workmanship guarantee – parts and labour. 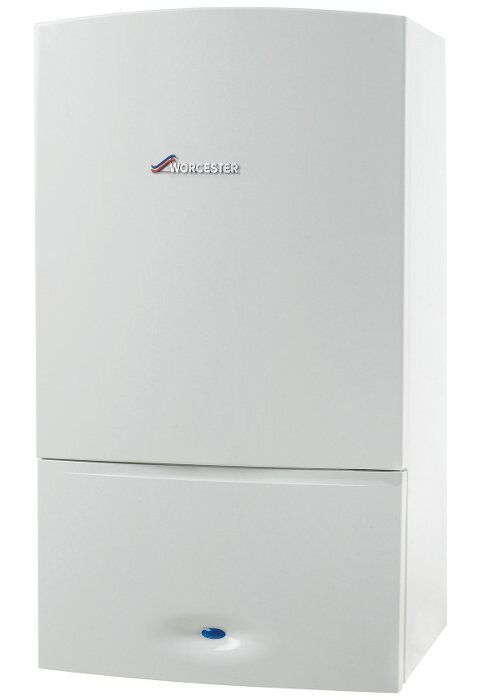 Plus up to 12 years warranty on Worcester Bosch boilers**.